1. History. And I’m not even talking about Prague, which looks like it was taken out of a fairy tale. No matter how small the town, you’ll always find there a castle or a grand mansion or an old town square, but more often than not – all of the above. Walking with the kids along the old tiny streets, explaining to them how life was different centuries ago is a wonderful pastime. 3. Attitude towards kids. In my experience, Czechs love kids. I think they are more child friendly. 4. Weather. Especially, after a couple of years in Moscow I really enjoy Czech weather! It’s pretty mild, a bit like in UK, although it might get a bit colder in winter and a bit hotter in summer. But what’s really great is sunshine. It was normal for Moscow to have weeks and weeks of cloudy days in a row, but here there are plenty of sunny days. On another hand, it depends on what you compare it to – another expat friend of mine, coming from Turkey, can’t wait to move back to her country this summer as this lack of sun is depressing her! 5. Nature. We love taking long weekends and visiting different parts of the country. There are forests, hills, lakes and rivers, mountains suitable for skiing in winter and hiking in summer, towns famous for mineral springs and spas and what’s more, it’s all located really close to each other. If you live in a big city, you could spend an hour or two in commute without even getting out of it, but here a couple of hours would take you to another part of the country. Czech Republic for me feels like a combination of history and modern comfort, city life one step away from wild nature, a quiet harbour right in the middle of Europe. If you’re thinking of visiting it, try not to limit your stay to Prague only (no matter how beautiful it is) – there’s plenty to discover all around the country. I wrote this post for MojoMums, please, visit MojoMums.co.uk ! Hi, I liked your post on Mojomums and I completely agree with you. I love the history written into our towns´ streets and the nature being so close to the centres of towns. Would you mind if I reblog your post on Czechmenu.worpress.com ? Of course, I wouldn’t! I’ll be glad to share it :) I’m really happy that we had a chance not just to spend a couple of days, but actually to live here for a while, so we can explore more than just one city. 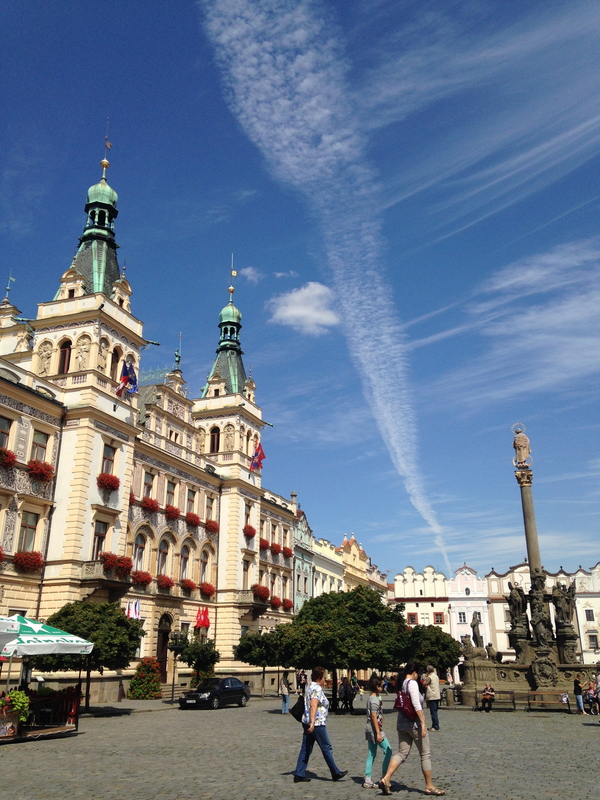 I stayed in a small town in the Czech Republic for 6 weeks one summer, more than 10 years ago. I was singing in several operas there, and it was before they had joined the EU. I loved it there :) I have fond memories of Garlic Soup for lunch, most days!! I want to go back with my husband and kids one day. Cool experience :) It’s a lovely country, I’m sure they will enjoy it as well! If you are interested on expats view of living in Czech Republic you should read this post from Tinyexpats on MojoMums. I agree with all her points. Enjoy your reading! Thank you for reblogging :) I really enjoy CZ!